Keep your engine bay looking its best with these high-quality breather & oil filler caps from Proform. Each piece is officially licensed by Chevy Performance so you know you're getting the best. 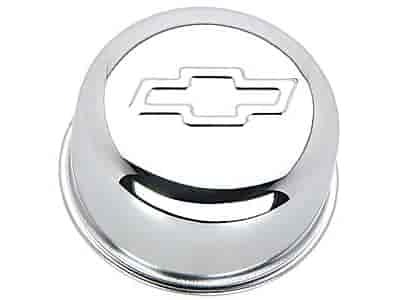 The top of each air breather cap and the push-in oil filler cap is either embossed or recessed with a Chevrolet Bow Tie or classic GM logo to complement your engine's genuine factory-parts appearance. 141-616 is rated 5.0 out of 5 by 1. Rated 5 out of 5 by Frank15 from Great Quality Awesome product and everything fit like a glove and looks perfect.